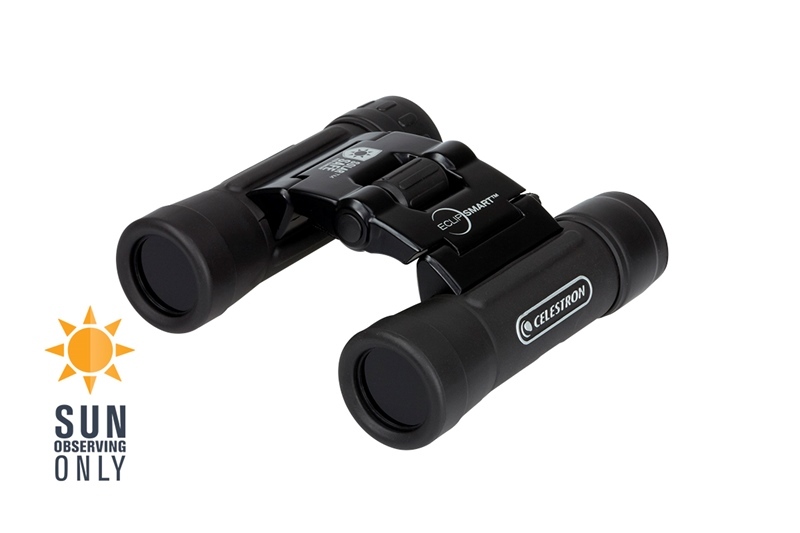 Generously donated by Celestron . 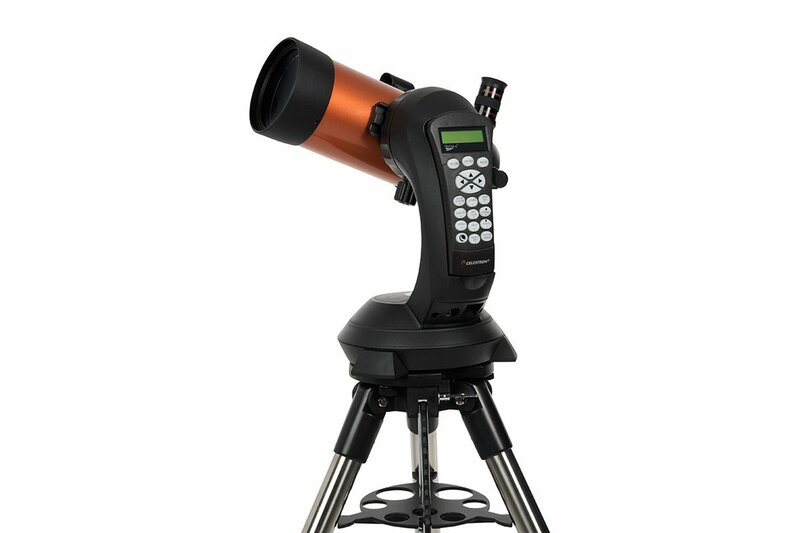 Learn more about this revolutionary telescope . The Eclipse Giveaway is now over. Congratulations to the grand prize winner: Rob Nissen! Also, congratulations to the 30 winners from our SkySafari 5 draw! To stay up to date with the latest in Eclipse news and to also receive special offers, you can sign up for our newsletter below. 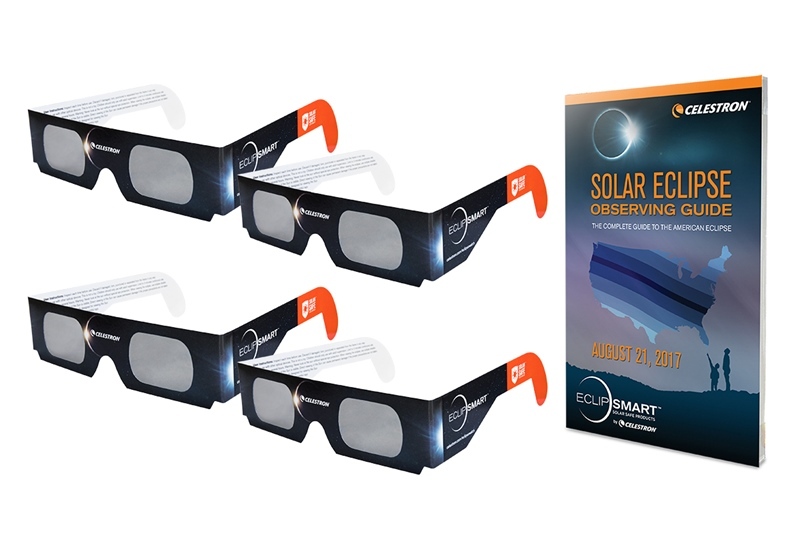 In honour of the August 21st Total Solar Eclipse of the Sun, we gave away a free Celestron Computerized Telescope and 30 copies of SkySafari 5! 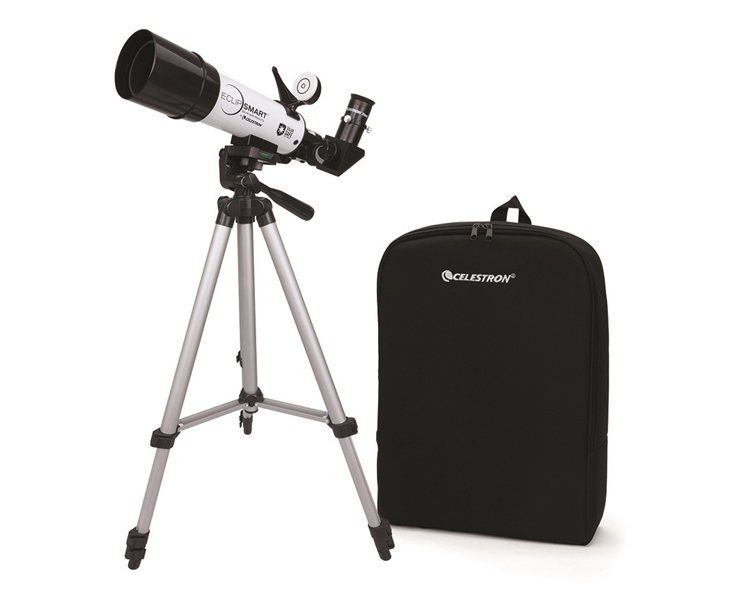 An earlier draw on August 11 (see August 11 draw winners list) included a solar telescope, two solar binoculars, and five eclipse observing kits. The reason? We feel passionate about astronomy and getting people to go outside, look up at the night sky, and understand why the sky looks the way it does! Thank you for taking the time and we hope you enjoy Eclipse Safari! By submitting this form, you are granting Simulation Curriculum Corp. and Space.com permission to email you. You can revoke permission to mail to your email address at any time using the link found at the bottom of every email. We take your privacy seriously. Will Simulation Curriculum Corp. disclose customer information to third parties? What information is Simulation Curriculum Corp. collecting and how are they collecting it? Your computer's domain name and IP address are recorded automatically by Simulation Curriculum Corp.'s web servers when you visit our web site. The domain name and IP address reveal nothing personal about you other than the IP address from which you have accessed our site. Simulation Curriculum Corp. may use this information to track and analyze our web site traffic, or to track possible misuse of the Simulation Curriculum Corp. network, its users, or to cooperate with law enforcement. What information does Simulation Curriculum Corp. collect when I register products? Simulation Curriculum Corp. may use your registration contact information to send you notification of upgrades, updates, new products and services by email and/or postal mail or other means. Click the unsubscribe link at the bottom of Simulation Curriculum Corp. promotional emails to be removed from this mailing list. Simulation Curriculum Corp. will not share your email address, telephone number, mailing address or any other information with third parties. Simulation Curriculum Corp. may request your email address or mailing address to provide additional services (for example, to email subscription renewal notices, newsletters, promotional announcements or information about new products). Simulation Curriculum Corp. has a strict "no-spam" policy. We do not sell, rent, or otherwise give your email address to a third-party. We may from time to time send email announcing new Simulation Curriculum Corp. products and services. Except as stated above, Simulation Curriculum Corp. will not send you email that you have not agreed to receive. Likewise, from time to time, Simulation Curriculum may use third party email marketing services including MailChimp™ BlastWizard™ and Boomerang™ in order to notify its customers and its prospective customers of new products, product updates and product upgrades. When you sign up for a Simulation Curriculum Corp. community forum, your name or alias is recorded solely for purposes of maintaining your own account within the forums. This information is not used to monitor your activity within a forum, nor is it used to identify you outside the Simulation Curriculum Corp. network. Purchases from the Simulation Curriculum Corp. Store require you to enter your name, email address, mailing address, credit card number and expiration date. This allows us to fulfill your order and to notify you of your order status. This information may also be used by us to notify you of related products and services. Simulation Curriculum Corp. web pages may use a shopping cart feature that safeguards this information by using industry standard SSL (Secure Socket Layer) and "https" protocol. The HTTPS protocol and SSL encodes the information transferred between you and the server, rendering it unreadable to anyone trying to intercept the information. Other Simulation Curriculum Corp. web pages properties do not use the https protocol, and thereby do not offer a secure coded way to transfer information. Protect and defend the rights or property of the Simulation Curriculum Corp., or visitors to the Simulation Curriculum Corp. web site, or to Identify individuals who may be violating the law, the rights of third parties, or otherwise misusing the Simulation Curriculum Corp. web site or its related properties, or to fulfill a user's order or request. Simulation Curriculum Corp. uses reasonable precautions to keep the information disclosed to us secure. Simulation Curriculum Corp. is not responsible for any breach of security or for any actions of any third parties that receive the information. We are not responsible for such third party privacy policies or how they treat information about their users. The Simulation Curriculum Corp. web site contains links to third-party web sites. Simulation Curriculum Corp. is not responsible for the privacy practices or the content of such third party Web sites. Note: if you voluntarily disclose personal information online - for example through email, discussion lists, or elsewhere, then that information can be collected and used by others. If you post your personal information online (including your email address, phone number, and mailing address) that is accessible to the public, you may receive unsolicited messages from other parties in return. The customer or user of the Simulation Curriculum Corp. web site is solely responsible for maintaining the secrecy of his/her personal information. Always use great care whenever you are online. You can choose whether to accept cookies by changing the settings of your Internet browser. You can reset your browser to refuse all cookies, or allow your browser to show you when a cookie is being sent. If you choose not to accept these cookies, you may not be able to place orders from the Simulation Curriculum Corp. web site.